In this paper we addressed the phylogeographical genetic structure of the economically important red shrimp, Aristeus antennatus (Crustacea, Aristeidae) in the Western Mediterranean. Partial mitochondrial regions of the cytochrome c oxidase subunit I (514 bp) and ribosomal 16S subunit (547 bp) were sequenced in 137 individuals collected at three localities: Catalan Sea, Ligurian Sea and the southern Tyrrhenian Sea. Values of haplotypic diversity were h = 0.552–0.724, whereas those for nucleotide diversity were π = 0.0012–0.0026. 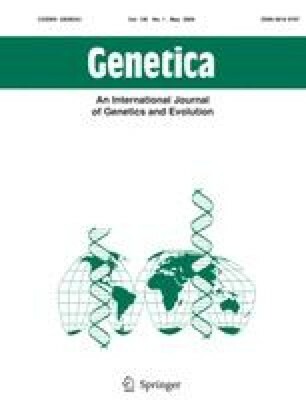 Among-sample genetic diversity was not significant and no geographical patterns in the distribution of haplotypes were apparent. Results of the present study are consistent with a past population expansion that occurred <2,000 years ago. Despite the current fishing pressure, genetic variability appears to be sufficiently high to keep A. antennatus populations stable over time. Dispersal-related life history traits may account for the shallow genetic structure. Our results are not in contrast with the hypothesis of sustainability of Western Mediterranean red shrimp fisheries predicted on the basis of previously obtained biological results. Authors wish to thank M. Arculeo and M. Cortey for their help in collecting samples and F. Utter, M. Canino and two anonymous reviewers for critical comments on the manuscript. This research was supported by a grant to MIR by Ministerio de Educación y Ciencia, Spain (CTM2006-00785).